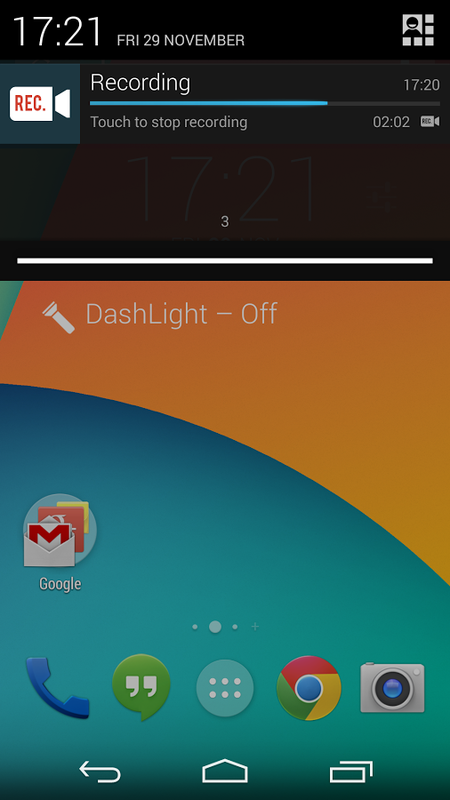 Android 4.4 finally added native screen recording, but it's only accessible via an ADB command on unrooted devices. 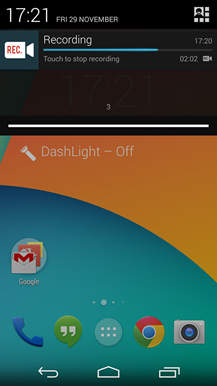 There are a few apps that extend that functionality with root access, but Rec. might be the best of the bunch right now. 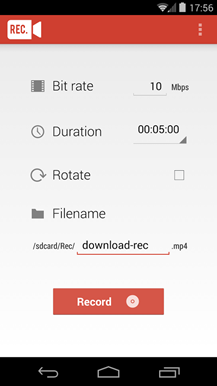 This app includes bitrate adjustment, record times up to 1 hour, ending recordings manually, and more. 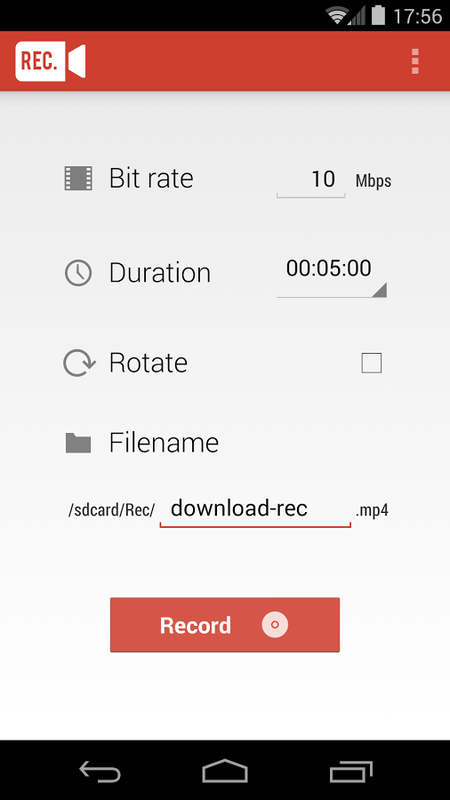 The app has a free mode with most of the basic features if you just need to take a quick screencast. Simply set the timer and bitrate, then choose the filename and go. 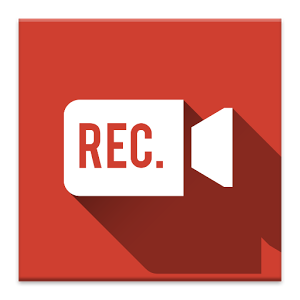 The app gives you 10 seconds to get where you need to be before the recording starts. By default it records in portrait mode, but you can set it to rotate the video too. 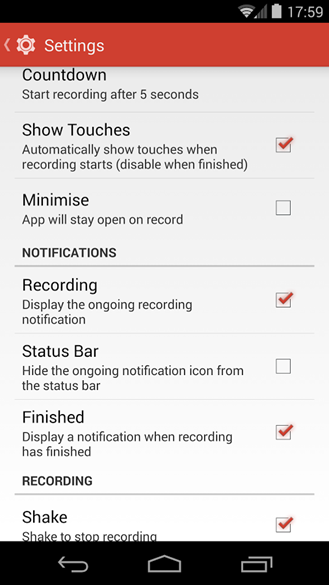 You can end the recording early with the button in the app or by turning the screen off – a pro upgrade adds shake to stop functionality. That's just the start of the extras you get with a $1.59 pro license. 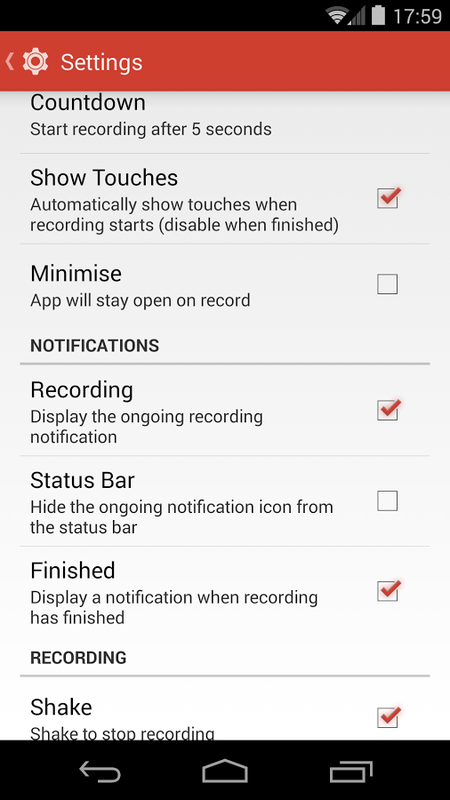 You can disable the ongoing notification while recording, change the countdown, and automatically show touches. 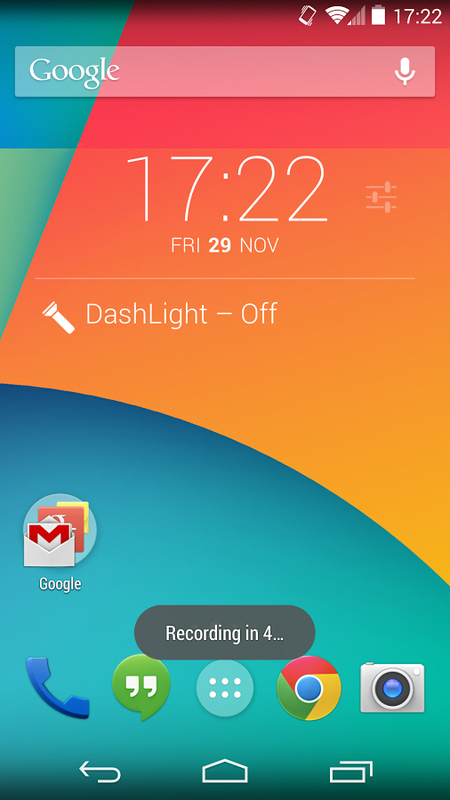 You'll also have access to upcoming features like a widget and presets. 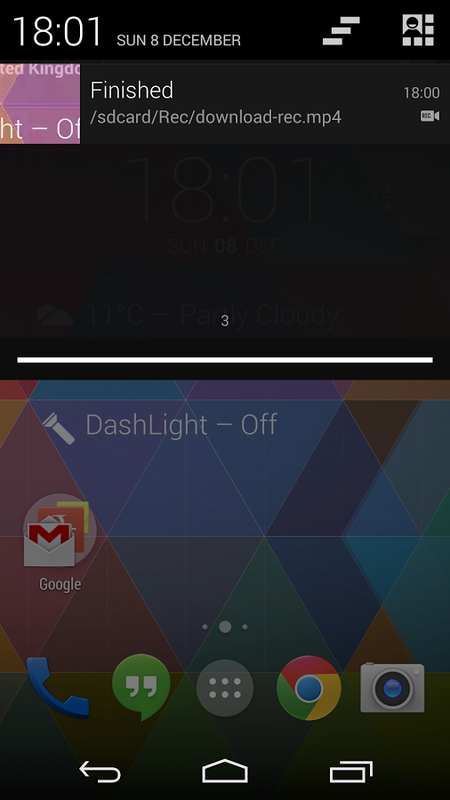 Because this is native Android 4.4 functionality, there's no sound. However, the included screen record feature offers very high quality video and few bugs. Above is the developers demo video and below is one we made at half the bitrate – still looks pretty good. The pro license is on sale, so you might want to jump on it. 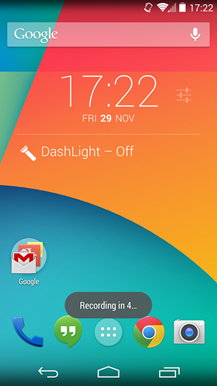 It has only been tested on a stock rooted Nexus 5 and Nexus 7, but may work fine on more devices.